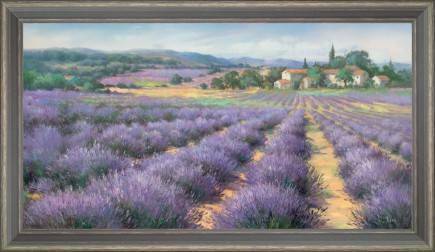 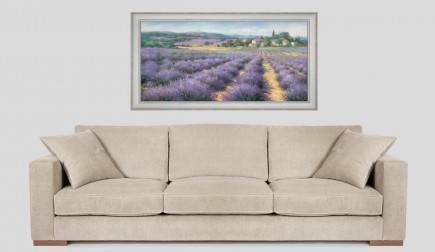 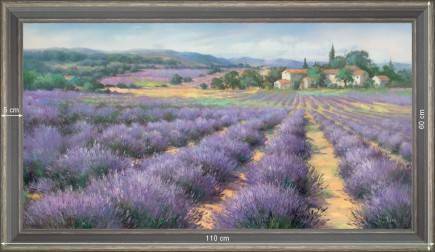 Succession of fields of lavender in flower which transfers the bluish color so particular to the whole decoration of this Provençal painting: trees, sky, village. 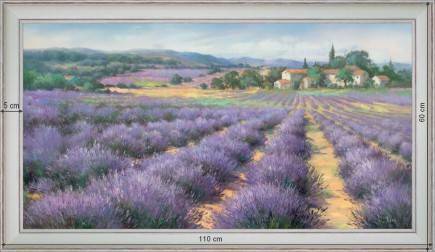 "This period of blooming of the plant symbol of Provence, invades the life of villages. 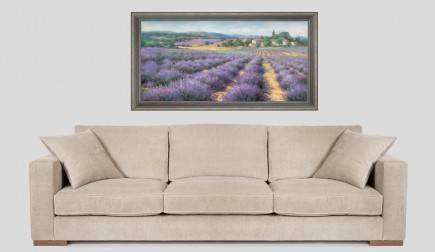 The smells, the colors, the conversations, everything run around the lavender."